Or perhaps you’ve run into a situation where you’ve spent hours working on a document containing lots of photo’s, and illustrations. You go to copy the report to a disk or send it as an email attachment, only to find that it has morphed into a 2 gigabyte monster of a file. Now of course, like everything in the computer world, there are many different compression programs out there to choose from. Even though each program uses different algorithms for their compression, they all compress files about the same. A typical compression rate for a 100k Word document containing all text is about 60% of the original file size. With this in mind, choosing your own favorite compression utility is usually a matter of personal taste, and ease of use. 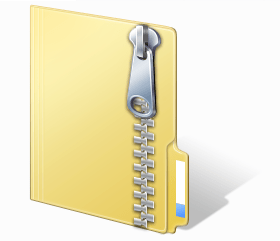 One common, and user-friendly programs is called 7-Zip. This program is freely available from www.7zip.org. It’s user interface combines functionality, with ease of use by utilizing simple menu’s for compression options. 7-Zip is also able to compress files to multiple formats. Another highly used compression utility is called RAR. The RAR compression format is an extremely good one for packing together large files into one very small file. One of the best features about this particular program is it’s ability to take extremely large files, and spread them out over several smaller files which can be stored on individual floppy disks. This program is also free to the public at www.RARsoft.com.